This is a village sign cache that is designed to be an easy cache and dash, with room for small swaps and the log. Temporary parking is very close to GZ. While you are in the area, why not visit another of my caches just up the street which can be found at St. John's Church in the village. 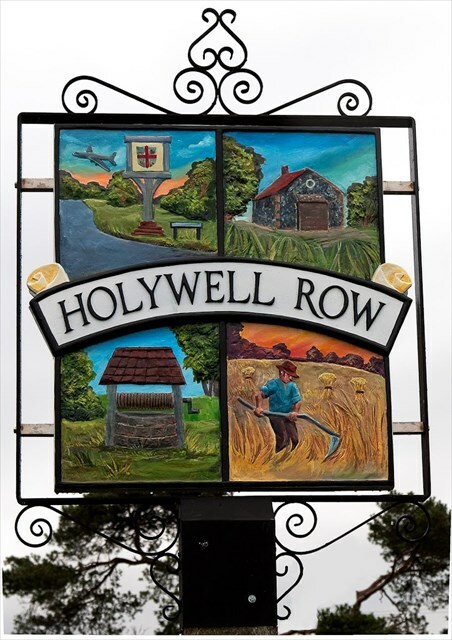 This village of around 100 houses derives its name from what was the largest well in the area, which was known as the Holy Well. The Holy Well was used for Christenings and was situated near to one of the oldest houses called Quaker's End, probably on the site of the Methodist Chapel. The village has changed very little over the past 50 years. Most of the houses lie on either side of The Street and vary in age from over 500 years old to modern bungalows. Holywell Farm at one end of The Street has a Suffolk Barn dating back to 1776.